– I looove blushes! My makeup looks are always geared towards the muted & natural, so I like to keep it looking like my face but better. A little cheek color is all I really need to get that rosy & healthy flush. The right blush ties everything together! – My fave reads change really quickly, but I&apos;m currently loving Kevin Kwan&apos;s Crazy Rich Asians series! It&apos;s definitely popular for a good reason. – How can I ever pick a favorite food when I love everything? Thai/Singaporean/Korean food are THE BOMB though! 5. What&apos;s your go-to article of clothing/outfit? 6. Do you have a motto or belief in life? If yes, what is it? – I&apos;m not the type to have a motto. If any though, I like to remind myself "Dum Spiro Spero", which is Latin for "While I breathe, I hope"
– I am super obsessed with kdramas! I just can&apos;t get enough of them right now. I&apos;m a sucker for a good romance and tear-jerker, and kdramas really hit the sweet spot. 8. Trend that you&apos;d like to try? – Layering for sure! I love wearing coats and scarves, but I only get to bust them out of the closet once in a blue moon. Sadly it&apos;s too hot for that here. 9. Trend that you think should have never existed? – Patches on every single clothing piece. It was cute the first time around, but now it&apos;s way too much. 10. Why did you decide to go into blogging/making youtube videos/ig? – I felt restless with all the pent up energy, passion, and desire for a new creative outlet. I just needed to let it all out somewhere, you know? That, together with my newfound love (obsession, really) for beauty, were what really pushed me to start blogging. If you love something, let the whole world know! 11. What&apos;s the first thing you do in the morning? – I eat breakfast. I can&apos;t function properly without my favorite bowl of cereal and a cup of coffee. 12. Attach one of your favorite pictures. – I saw this photo on tumblr a couple of years ago and it really struck me. It&apos;s been my go to pic ever since! 13. What&apos;s the best part about being a beauty guru? The worst? – The best part about being a beauty guru is sharing your passion with like-minded people. I love being part of this community where we&apos;re all able to learn and grow from each other&apos;s experiences. I especially love being a beacon of light to those who are starting out on their own as well. – The worst part? Definitely when the beauty blogsphere starts to eat up your own personal time. Maintaining a schedule, setting up shoots, writing, and buying/testing products for the sake of it can seriously take over. The key is to strike a balance between work and play! 14. What are your future endeavors? – I&apos;m still quite new to the world of beauty blogging but I do sincerely hope to grow and go further in it. My goal in the long run is to be your girl next door slash big sister when it comes to lifestyle, skincare, and beauty. And while I&apos;ve got no concrete plans as of now, you will definitely see more of me in the future! 15. Which other beauty gurus would you recommend? – Toni Sia (@tonitested) and Honest and Local (@honestandlocal) are 2 of my favorite Filipina beauty bloggers! – I post regularly on my blog maxontheglow.wordpress.com, but you can also find me on ig at @maxontheglow! 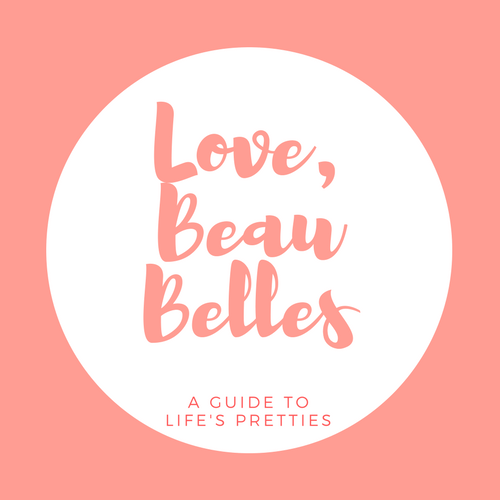 Love, Beau Belles is a beauty, travel, and lifestyle blog by Kimi, Beryl, and Audrey.